At Destination Dentistry in Custer SD, we provide comprehensive dentistry for patients in Custer and surrounding communities. Our team of skilled hygienists, dental assistants, and administrative staff exceed our patients’ expectations. At Destination Dentistry, we understand the value of a healthy and beautiful smile. We are passionate about providing each patient with personalized care, and strongly recommend you have a cleaning and checkup with us every six months. Coupled with your home dental health routine, this is the best way to keep your smile in excellent condition. No one really likes having their teeth cleaned: having sharp objects in their mouths, scraping and poking. We get that. But these procedures not only keep your smile healthy, they can detect any issues you might have. As with most things, early treatment is best. At Destination Dentistry in Custer SD, we provide cleanings and checkups as part of our family dentistry. 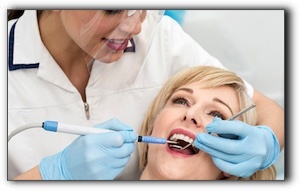 We also offer a range of cosmetic dentistry services. Schedule an appointment with us today.